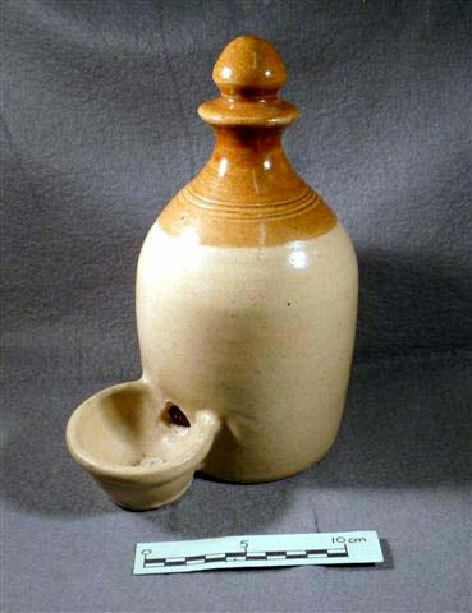 A glazed pottery chicken drinker used on a local farm. 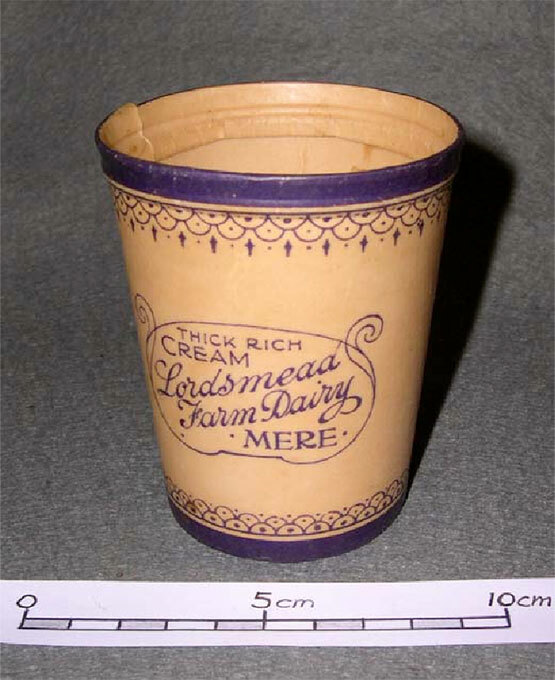 A carton for cream produced at Lordsmead Farm Dairy, 20th century. 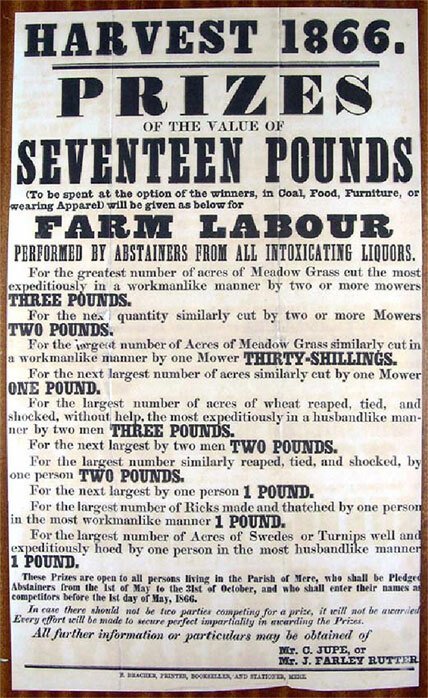 A poster for a competition in Mere for farm labourers who have abstained from alcohol between 1st May and the end of October, 1866. 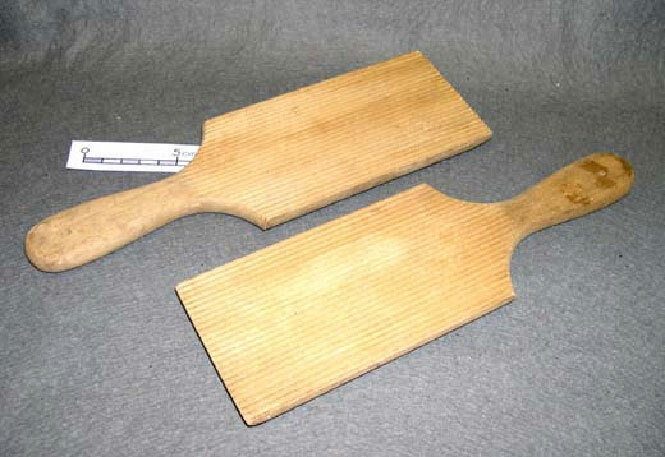 The Temperance Movement was strong in Mere in the latter half of the 19th century. 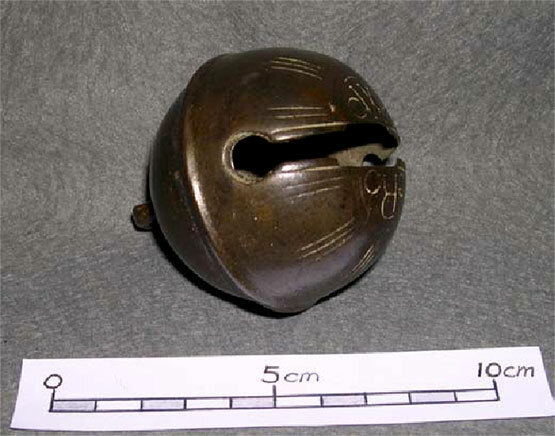 A copper milk ladle, probably used by a Mere dairyman in the 19th c.
A scythe used at Manor Farm, Kingston Deverill, ner Mere, Wilts. 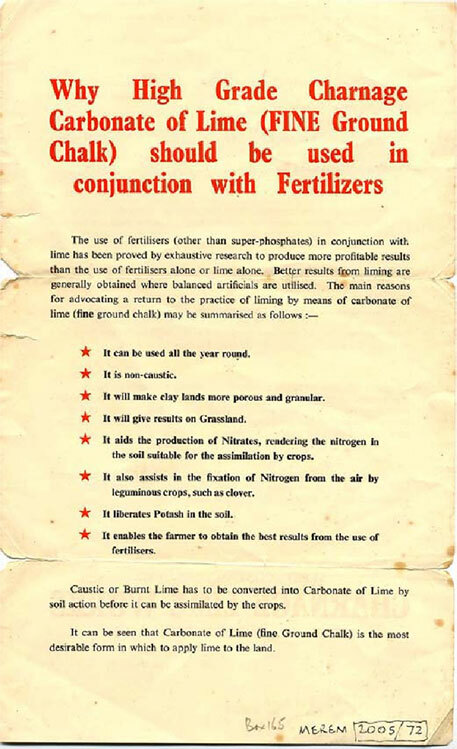 An advertisement for Charnage Lime Works, Mere, c.1950, advocating the use of carbonate of lime with fertilizers. 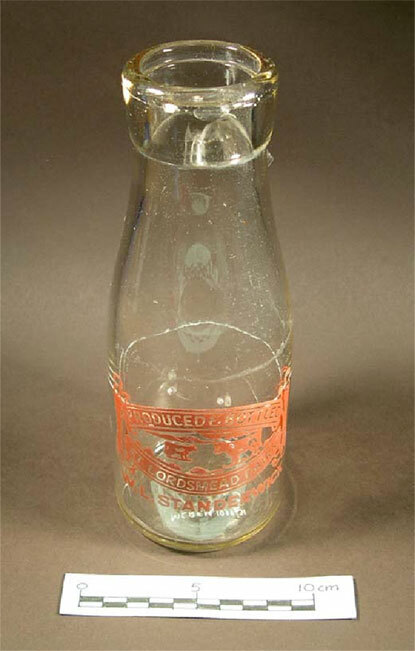 A one-pint milk bottle labelled ‘Produced and bottled at Lordsmead Dairy, W.L.Standerwick’ (Mere). 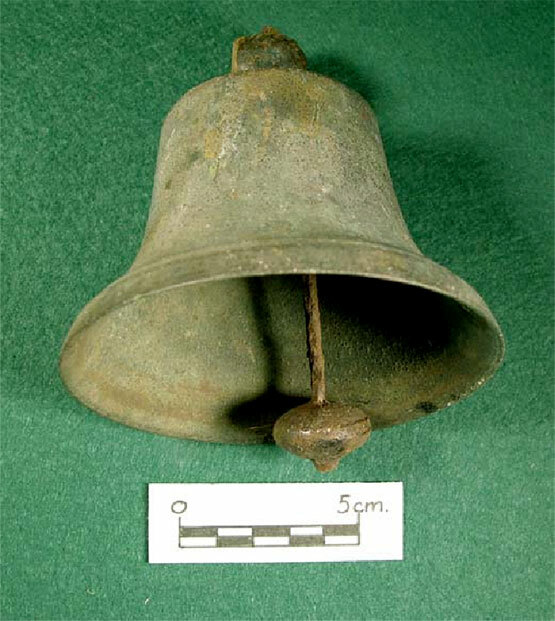 A small bell, probably a sheep bell, found on Mere Down. 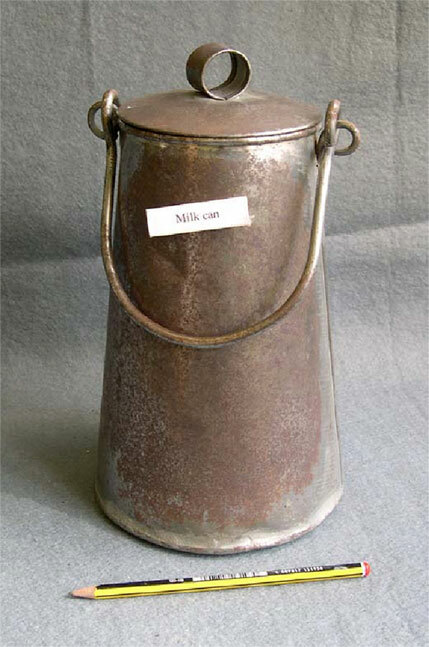 A tin milk can, probably from a Mere dairy. 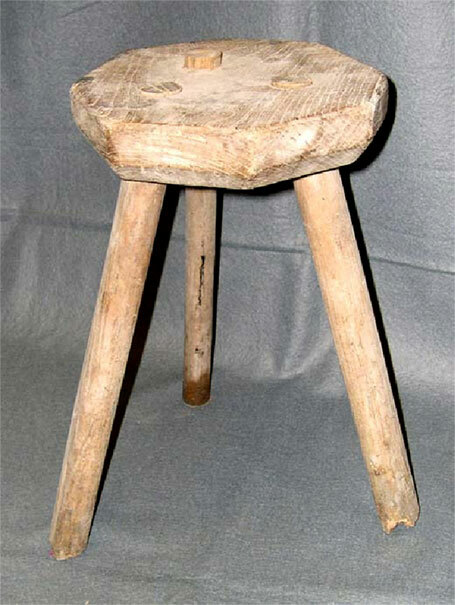 A wooden milking stool made and used by Mr. Harry Hill, Hinks Mill Farm, Mere. 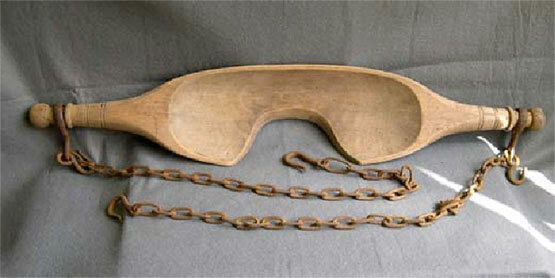 A wooden yoke for carrying buckets, used by Mr. Harry Hill at Hinks Mill Farm, Mere.